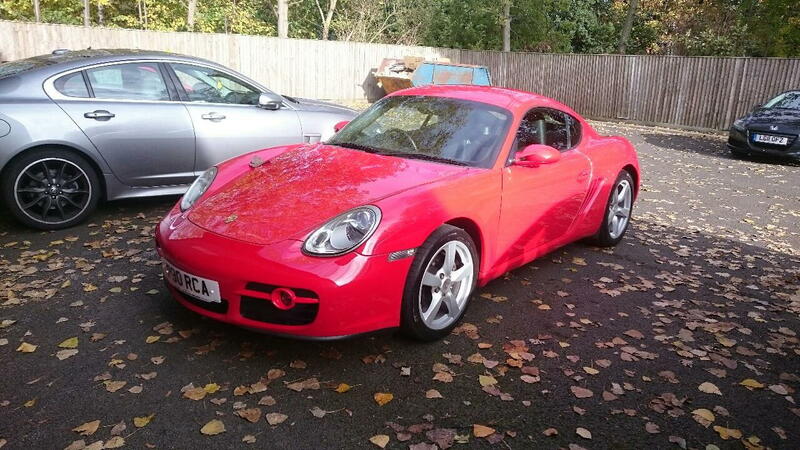 A Porsche Cayman 987 manual 2.7 2008. Full service history and 2 owners from new and very very clean. This pic is from when I picked it up taken on my old Sony phone. To be honest the S2000 was getting a bit too 'raw' for my aging bones It went to a really good home so I am happy with that. The Cayman is so much different as you would expect. It is more refined, quieter and dare I say it but better built more solid. Power wise is only has a bit more power but due to the extra torque it is definitely faster, one key difference is the grip, you can get the power down soo much earlier coming out of a corner. I f there is interest then I will update it from time to time and add some better pictures too. I say this as I always loved reading threads about non S2000's.